Share what you thought about Rent Mate and earn reward points. Oh, my lord Rent Mate is one very intense, at times dark, emotional story that is so worth your while reading!! This is my first book by Ash Penn but it will definitely not be the last... 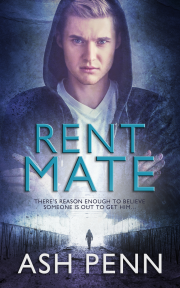 I can’t recommend Rent Mate enough, go and get your copy now!! You won’t regret it. Fluid writing, with intriguing characters... I look forward to reading more by Penn in the future. Recommended to fans of MM romance, who need a bit of fear and suspense to spice things up.